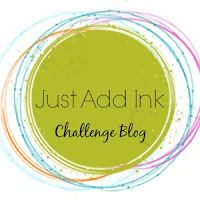 Happy Friday everyone and welcome to our new challenge at Just Add Ink. This week, Patrice has suggested these soft and beautiful colours for us all to use. The Team really enjoyed working with these lovely blue and green tones and found them so versatile and so we hope that you do too!